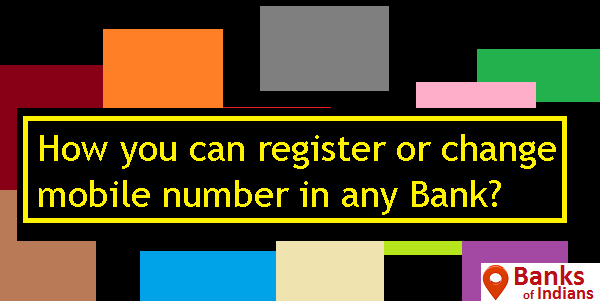 How you can register or change mobile number in any Bank? For update or change mobile number in any bank, you should approach your home/base branch for the same and submit a KYC application to the branch. Please carry valid ID proof like Aadhar Card, Passport, and Voter ID with you. After submissions of your application, it shall be reflected in 48 hours due to stringent guidelines of our bank. This is to safeguard your account against fraudulent activities if your mobile number is stolen and lost. After that you should get OTP, by default but in case you don't receive then visit to your branch or contact to Bank's customer care numbers.